Can prison inmates become creative collaborators? 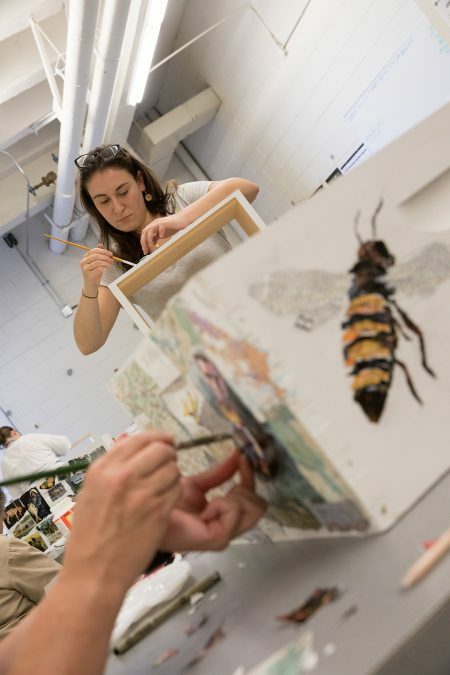 Idea Lab Mini Grant recipient and MFA student Cristina Echezarreta says, yes, they can.In the process of working with the Georgia Prison Beekeeping program, the graduate student has brought her twin interests, art and entomology, together. Prior to the prison beekeeping project, Echezarreta later explains she wouldn’t have been so interested in doing a joint art project. Now, she has observed the value of social engagement, and seeks to be ever more inclusive and collaborative. The Idea Lab Mini Grant Program is supported by Ideas for Creative Exploration, an interdisciplinary initiative for advanced research in the arts at UGA. Ideas for Creative Exploration is supported in part by the Willson Center for Humanities and Arts, Franklin College of Arts and Sciences, and the Graduate School.